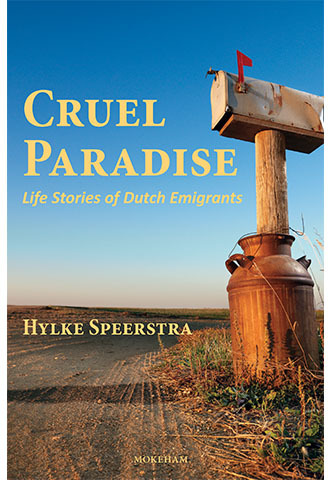 Cruel Paradise deftly weaves together the firsthand stories of men and women who emigrated from the Netherlands throughout the twentieth century. A skilled stylist with an unassuming presence, Hylke Speerstra brings readers along as he circles the globe interviewing transplanted Netherlanders in the United States, Canada, South Africa, New Zealand, and Australia. Common themes of personal identity and family, uprootedness and loss, nostalgia and bittersweet joy run throughout the book. Hylke Speerstra is one of the most acclaimed authors to write in the Frisian language of the Northern Netherlands. His most recent book to be translated into English, The Comfort Bird, is also available through Dutchreadz.com.